The Nordic Cosplay Championship (NCC) is a yearly cosplay competition held at the Närcon convention in Linköping Sweden. 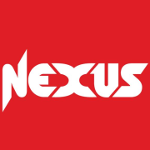 The NCC is the Nordic countries largest cosplay competition, spanning 5 countries, with 13 contestants. The final show is broadcast live in four countries and online. Midgard‘s NCC preliminaries are Iceland‘s largest cosplay competition.  First held at the University of Iceland‘s Japan festival, this contest offers a great opportunity for Icelandic cosplayers to participate in Scandinavia‘s ever growing cosplay community. The grand prize of the NCC preliminaries is an all-expense paid trip to Närcon Sommar to participate in the NCC finals. Närcon 2019 will be Iceland’s sixth time participating in the competition. Please apply to compete through this application form. Costumes must be based on pre-existing fictional characters from a published source. Original characters are not permitted. The competing costume is to be made by the contestant themselves. Contestants are expected to be able to describe the crafting of their costume in detail. Costumes that have been used to compete in other cosplay contests are permitted. Costumes must be finished by the day of judging. Repairs after arrival are permitted. Contestants will be judged based on costume and stage performance. Pre-judging is held prior to the final show. Contestants must attend the pre-judging in full costume, with any handheld props used in the performance. Performances are judged during the final show. Assistants can be utilized on or offstage to enhance the performance.